After successful careers in radio and television and as director of flight operations with American Airlines, Larry Strain was uniquely positioned to become one of the air show community's strongest announcers and most successful air bosses. During an air show career that has now spanned three full decades, Larry has not just earned the admiration of his peers and customers, he has done whatever was necessary to support our industry and improve professionalism within it. Larry brought to the industry much-needed business insight and a professional demeanor that has helped to create an atmosphere of competence and steadiness whenever he is present at an air show or other industry event. As a planner and organizer, Larry has proven that he is a natural leader who inspires trust and commitment among the people with whom he works. Whether he is working at a large, established show on a very specific task or helping a fledgling event struggling to overcome the many obstacles it faces to establish itself, Larry applies his business and air show experience to those challenges. But, aside from his involvement with individual air shows, he has also worked tirelessly to improve the industry. 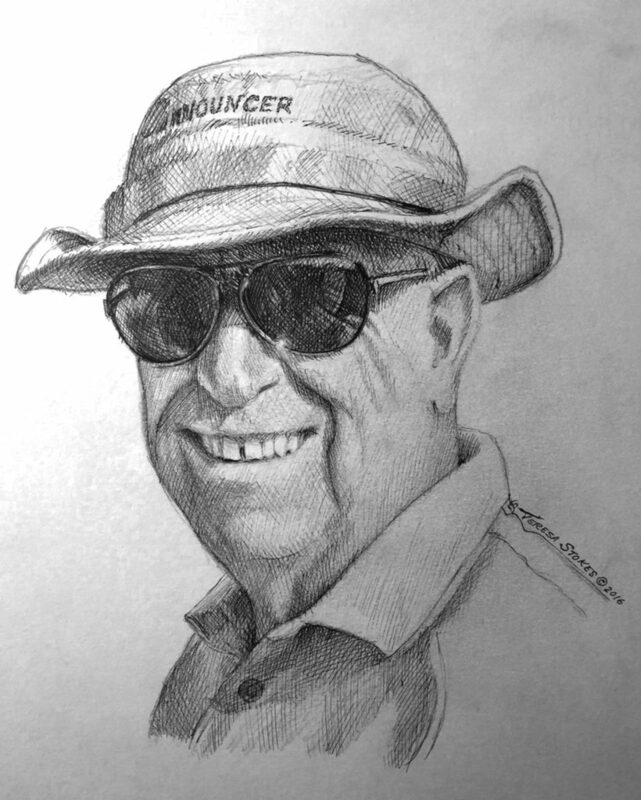 He has served as a coach for Golden Knight and U.S. Air Force Heritage Flight narrators. He was a long-time member of the faculty for the ICAS Air Shows 101 training seminar. While serving on the ICAS Board of Directors, he took on the responsibility of rewriting the ICAS Principles of Conduct and Professional Ethics. And, for several years, he served as a member of the Warbirds of America Board of Directors. During the last three decades, the air show industry has succeeded and prospered, in part, because of Larry Strain's commitment to the business.